By Leigh Fletcher, University of Leicester. The suite of science instruments and scale of the Juno spacecraft. 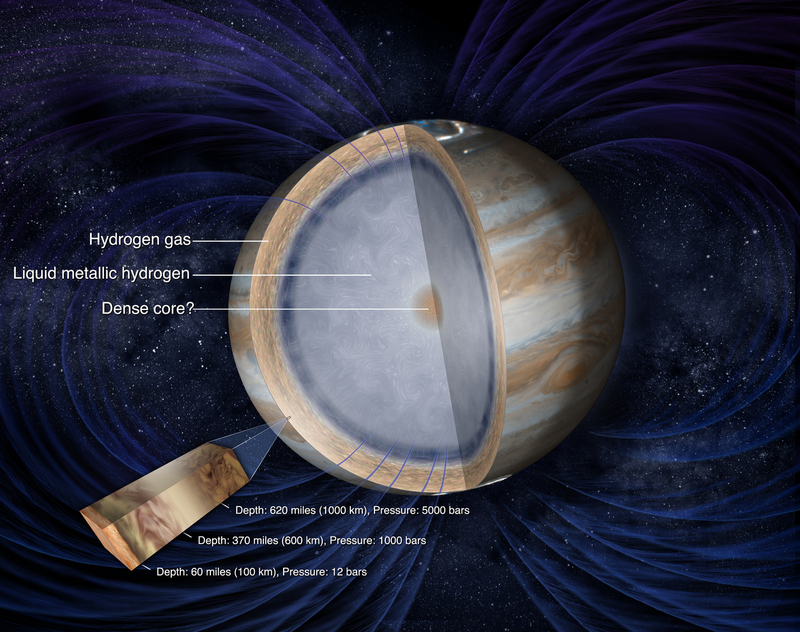 The exotic interior of Jupiter, hidden deep below the visible cloud layers. Does a dense core actually exist? 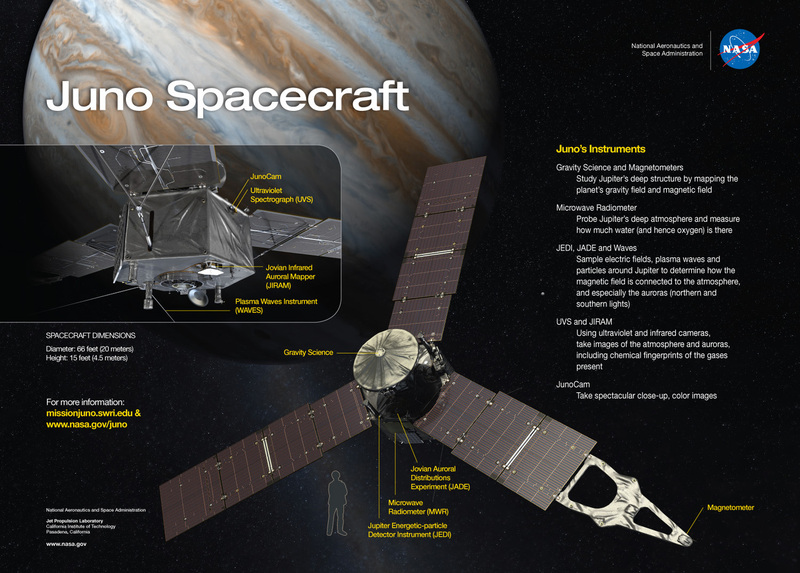 Ground-based observations of Jupiter to support Juno. 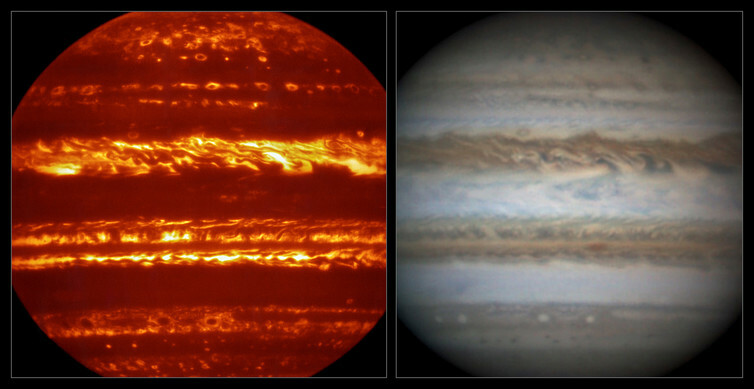 The left hand image shows Jupiter’s infrared glow with dark clouds in silhouette against the bright background (Credit: ESO/L.N. Fletcher), the right hand image is an amateur observation acquired at nearly the same time (Credit: D. Peach).